The updated Land Cruiser gets refreshed styling, more equipment and additional paint shades. Toyota has launched the updated Land Cruiser 200 in India. The premium luxury SUV comes with styling updates to the exterior and interior along with a host of safety features. Up front, the Land Cruiser 200 facelift gets a large three-bar chrome grille with a chrome surround that is stretched out to under the headlamps. The headlamps are new, while the bumper has been restyled and the fog lamp housing now comes with chrome inserts. The bonnet has also been redesigned and features dual power bulges, further accentuating the SUV's muscular look. At the rear, the new tail-lamps are joined by a bar of chrome that comes emblazoned with the 'Land Cruiser' name. Inside, the dashboard and centre console have been revised. The refreshed Land Cruiser gets a new instrument cluster with a larger multi-information display. The centre console is dominated by a larger infotainment screen flanked by large air-con vents with chrome surround. The control surfaces along the centre console have also been revised, and the steering wheel is new. The third row gets a centre headrest to accommodate an additional passenger. The Land Cruiser 200 continues to be powered by a 4.5-litre V8 diesel engine which churns out 281bhp and 66kgm of torque. The updated SUV is priced at Rs 1.29 crore (ex-showroom, Delhi). Toyota offers a warranty of 3 years / 100,000km whichever is earlier, on the Land Cruiser 200. 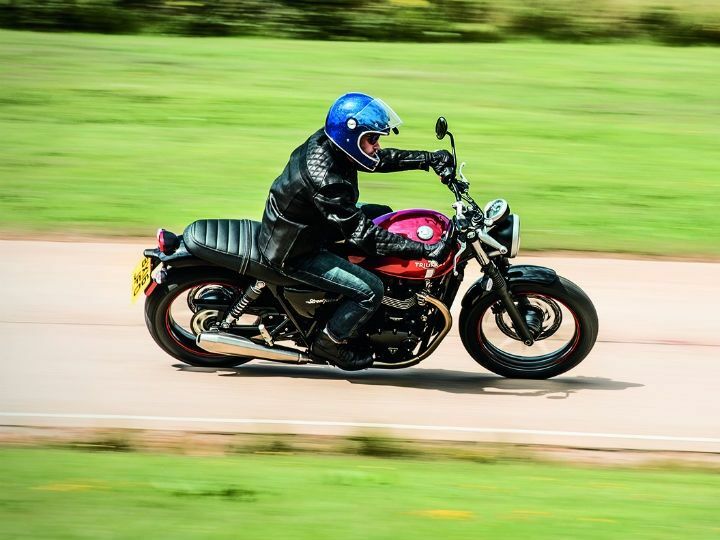 Triumph Street Twin: First Look Review. 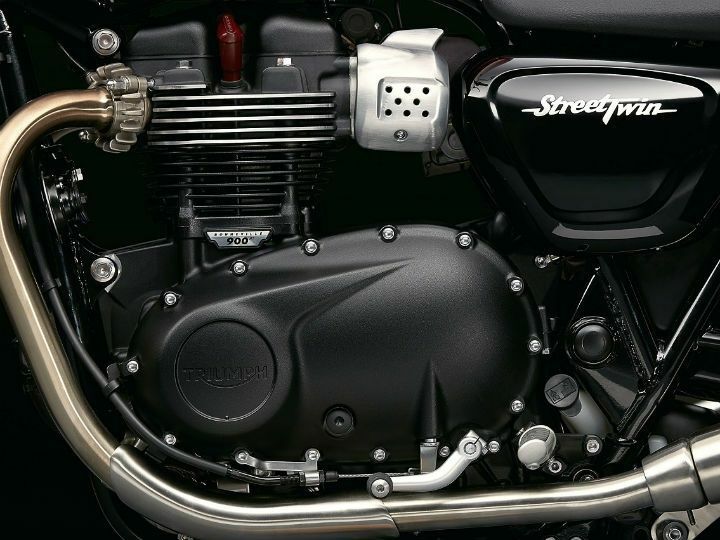 The Triumph Street Twin will have the smallest displacing engine and expected to carry the least expensive sticker price in the 2016 Triumph Classic range. The Street Twin will be the most important model for Triumph India when the bikes are launched in India sometime in 2016, after being unveiled at the Auto Expo in February. 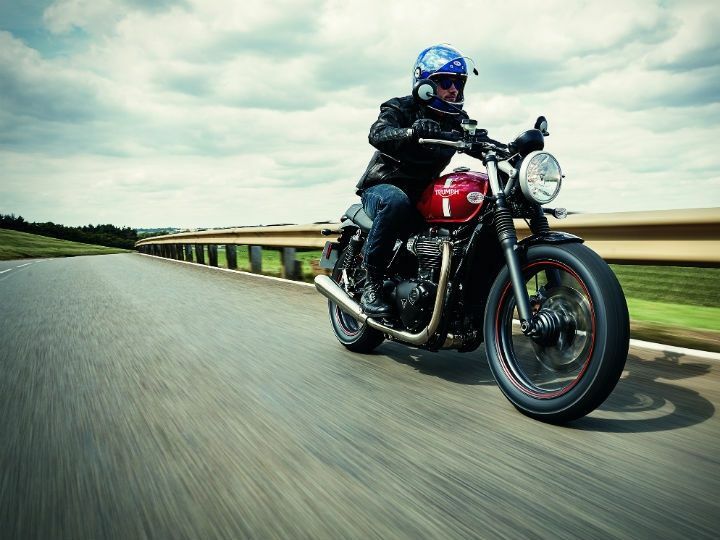 Like the current Triumph Bonneville, the Street Twin is expected to carry the bulk of Triumph India’s sales. But that’s where the similarities end, if any. 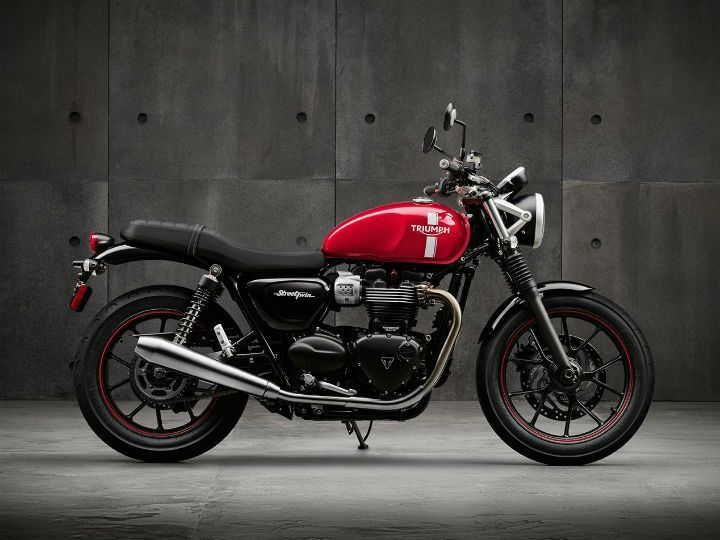 The new Street Twin is a new motorcycle from the ground up and is a complete upgrade of the existing Bonneville. The engine is all-new and is now liquid cooled, compared to the air-cooled unit of the current Bonneville. Then there is ride-by-wire throttle, switchable ABS and even traction control, all of which aren’t available on the current Bonnie. 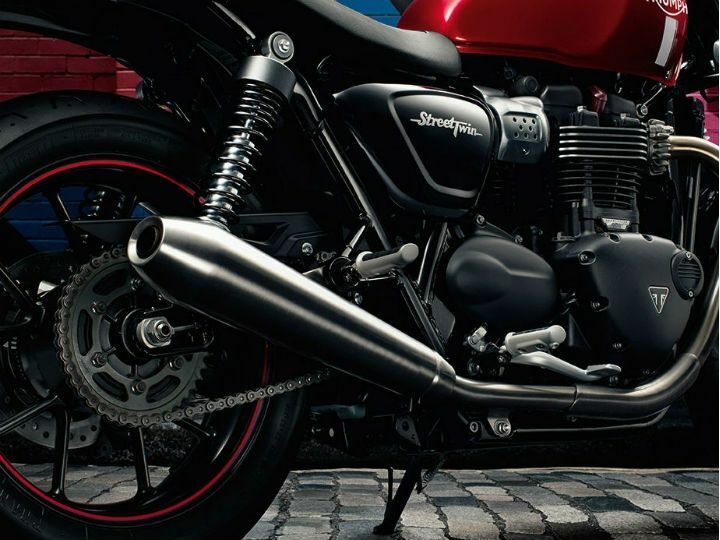 The Street Twin still retains the original Bonneville silhouette, but it’s a contemporary take in design. Clean lines, minimal bodywork and a sleek rear end define a sharp, stripped back styling. 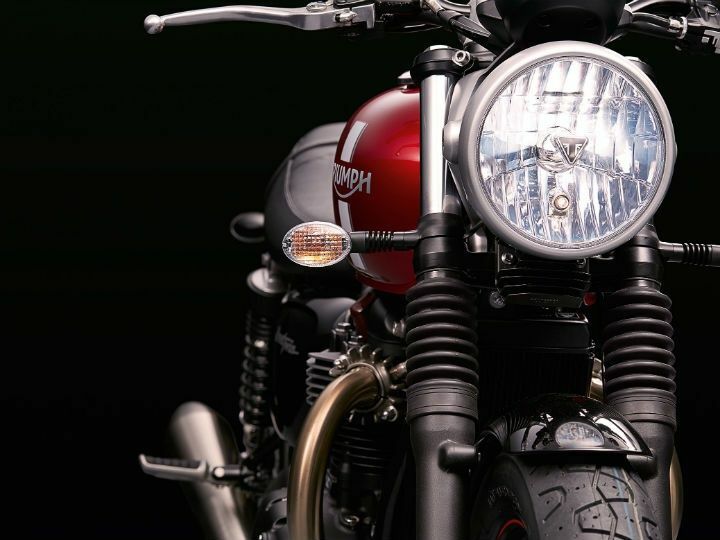 The attention to detail is impressive – be it the large, clear lens headlight, cast wheels and a unique retro-looking LED taillight. Designed for ease of use and riding fun, the Street Twin combines a fuel tank which narrows down towards the rider as is the seat with low height (750mm), again narrow at the front. This will certainly benefit newer riders as well as those with shorter height to plant their feet comfortably. This means the Street Twin will appeal to a whole lot of riders, from different geographies and with different riding skills. The instrument panel is a single-pod unit, and it incorporates a digital menu system which can be accessed by a handlebar mounted scroll button. Read outs include gear position indicator, odometer, two trip settings, service indicator, range to empty, fuel level, average and current fuel consumption figures, clock, and traction control and ABS settings too. The engine itself has been beautifully styled too, incorporating styling cues from the legendary Bonneville engine silhouette while incorporating contemporary engine components to maintain that authentic look. So, while the new 900cc engine is liquid-cooled, the engine still retains the air-cooled cooling fins for that authentic ‘classic’ look. The upswept dual exhausts add more character to the Street Twin and are said to deliver the unmistakable sound of a British twin, with a characteristic rich and raw note. If there’s one thing which is completely different from the current Bonnie, it is the engine of the Street Twin. The powerplant is what Triumph calls a ‘high torque,’ all-new 900cc liquid-cooled, parallel twin engine which makes a whopping 80Nm of peak torque at a low 3200rpm. That’s over 18 per cent more torque than the current Bonneville. But what is more important is that the torque now comes in lower in the rev range (the current Bonneville makes 61Nm at 5500rpm). What this means is that there will be more usable power lower on the revs, and Triumph says the torque will be spread over the entire rev range, so riders can enjoy the Street Twin’s performance in daily street use as well as on the occasional long distance ride. Triumph says the new liquid-cooled engine not only achieves cleaner emissions, but will deliver enhanced fuel efficiency as well – as much as 36 per cent better fuel economy than the previous generation Bonneville. Power figures aren't disclosed yet, but expect a bump there too, from the currrent Bonneville's 61PS output. Then there’s the electronic ride-by-wire system that enhances throttle control and responsiveness and the bike comes equipped with variable traction control and ABS too. And there’s also a slip assist clutch for a light feel at the finger tips, making it easy to ride, and ride longer. The Street Twin employs an all-new chassis and suspension design. Triumph says the bike delivers dynamic handling and an engaging riding experience. While no details are released yet, the front is a conventional fork fitted with gaiters for the period look while the dual shocks are preload adjustable. Unlike the previous generation Bonneville, the Street Twin now gets switchable ABS, with a single front disc squeezed by a two-piston calliper, while the rear wheel gets a smaller rear disc. With all the features expected from current motorcycles, the Street Twin makes a bold statement as a very capable neo-retro motorcycle. Pricing will be particularly important, more so, when the previous generation Bonneville contributes to the largest sales numbers for Triumph India. We’re not sure about how the Street Twin will be priced. But with features like ride-by-wire throttle, switchable ABS and traction control, the sticker price will perhaps get dearer than the current Bonneville on sale for Rs 5.7 lakh (ex-showroom). Our guess is, anything between 80,000 to a lakh. But knowing Triumph India, we hope the 2016 range is brought in as CKDs and prices kept competitive, hopefully as close to the previous generation as possible. 2016 Toyota Fortuner to come to India by late 2016. Earlier this year in August, Toyota took the wraps off the 2016 Fortuner and launched it in the international market a few months later. Since then there have been a lot of speculations about when the model will make its way to Indian shores. ZigWheels.com recently learnt that the Japanese car maker will only bring it to India towards the end of 2016. Just like the current generation model, Toyota will continue to produce the 2016 Fortuner at its plant in Bangalore. Toyota is currently in fake watches sale talks with vendors and is concentrating on localisation of the product prior to the launch next year. However, they are still to finalise as to how much of the car will be locally produced, keeping in mind Toyota’s global quality standards. Toyota Motor Corporation has allocated enough funds to the Indian sub-division for future offerings like the 2016 Fortuner and the 2016 Innnova. Toyota has already launched the 2016 Fortuner in Thailand. Aside from having an all new design, the 2016 Fortuner gets a new 2.8-litre direct injection four-pot turbocharged motor that will produce 177PS of power. The 2016 Fortuner too will come with a manual and an automatic gearbox option producing 420Nm and 450Nm respectively. While Toyota will bring the new Fortuner late last year, Ford too has launched the new Endeavour in the international market and is expected to launch it in India in the first quarter of 2016. Mitsubishi will also be bringing in the new Pajero Sport. Meanwhile, the first manufacturer to make the move in this segment is Chevrolet as they launched the Trailblazer last week. India to play bigger role in Renault-Nissan’s global plans. Carlos Ghosn, chairman and CEO of Renault and Nissan says that India will play a crucial role in next mid-term plan. In a global media interaction session held at the Tokyo Motor show 2015, Renault and Nissan CEO, Carlos Ghosn revealed that the two companies planned to focus more attention on the Indian market in the next mid-term plan. India is becoming a major attractor for multinational companies with the market being seen as one of the most promising in the emerging BRICS (Brazil, Russia, India, China, South Africa) markets. “Among the large markets of the world, India is the market with the highest growth in 2015. It will end up seeing a 7-8 percent growth. We think it will continue. We can envision India will be in the top level of growth among the large markets for the next 2-3 years," Ghosn said in response to a query from our sister publication Autocar Professional. This is in contrast to the Russian market which has seen a 50 percent fall in the last three years and the Brazilian market which has witnessed a 40 percent fall in the last two years. The growth rate in China has also started to slow down as well. “For all carmakers, India is becoming more and more important because there’s growth and two car manufacturers having 70 percent of market share. So, everybody thinks there’s opportunity here. Atleast the small guys thing they can do a better job. And we are part of the small guys,” added Ghosn. Renault recently launched the Kwid entry-level hatchback in India, with the small car garnering a lot of interest with bookings for the small car crossing 25,000 within a few weeks of its launch. The CMF-A platform underpinning the hatchback is expected to give rise to a new model in Nissan’s line-up under the Datsun brand with the new entry-level hatchback expected to be launched in India in March 2016 to celebrate the brand’s anniversary. Nissan is also learnt to be tweaking its strategy for the Indian market the results of which are expected to kick in in the coming three to four years. Ghosn also said that since the global automobile industry’s growth was expected to be reach stagnation in the coming years, the two companies were looking to enhance its efforts in India and South Africa and also look towards developing newer markets. 2015 Tokyo: Kawasaki Ninja H2 gets slipper clutch update. At the 2015 Tokyo Motor Show, Kawasaki announced that the 2016 Kawasaki Ninja H2 will get equipped with slipper clutch thereby signifying the fact that production of the supercharged motorcycle has been extended by one more year. Kawasaki announced that it has given the Ninja H2 superbike cosmetic and mechanical updates at the 2015 Tokyo Motor Show. The Japanese bikemaker announced that the ECU system on the motorcycle has been tweaked to better suit the emission norms. Also the 2016 Kawasaki Ninja H2 will get the benefit of slipper clutch which was oddly missing until now given the power on tap and the pricing the motorcycle commands. A slipper clutch acts to prevent rear wheel lock on aggressive downshifts which might catch the rider by surprise on few occasions and is an useful feature while riding the motorcycle on the limit. Talking about the cosmetic updates, the 2016 Kawasaki Ninja H2 will be now offered in a new colour option of “Mirror Coated Spark Black”. The updates also mean that Kawasaki will continue the production of the supercharged Ninja H2 and Ninja H2R in 2016 albeit in small numbers. The Kawasaki Ninja H2 is the most expensive motorcycle offering from the Japanese two-wheeler giant in India and has been priced at Rs 29 lakh (ex-showroom Delhi). The biggest talking point of the Kawasaki Ninja H2 is the addition of supercharger to boost the power output of the motor and it’s the only supercharged mass production motorcycle on sale globally. Powering the Kawasaki Ninja H2 is a 998cc, liquid-cooled, inline-four motor churning out 200PS at 11,000rpm and peak torque of 113.5Nm at 10,500rpm. 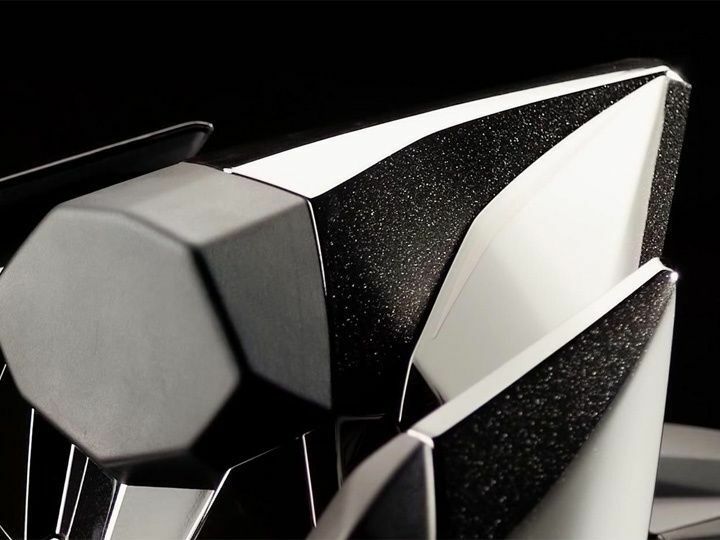 The Kawasaki Ninja H2 will be offered with an option of Ram Air that hikes the power output to 210PS. These numbers make it among the most powerful litre-class motorcycle on sale globally. The Kawasaki Ninja H2 is also the only supercharged production motorcycle on sale currently.